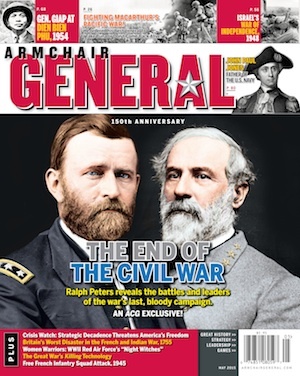 Historical Simulations | Armchair General Magazine - We Put YOU in Command! From the beginning, military professionals have calculated their chances of success in future war by evaluating the available statistics on past wars. From Sun Tzu and Machiavelli to Jomini and Clauswitz, men have tried to capture the essence of war and provide formulas, principles and theories on how it can be waged successfully. Generally, this has been done by reading about or participating in historical battles, analyzing them in one form or another and then extrapolating the results to future war. Some observers, like Jomini, were more concerned with identifying unchanging principles and patterns while others, like Clausewitz, were more interested in the philosophical aspects of war. Still others have spent their lives attempting to understand the historical lessons of war by quantifying them. In other words, they think in numerical terms when conducting military analysis. The idea is that by quantifying warfare they may better understand the complex relationship between such things as the number and type of weapons and manner employed by each side and the number of casualties suffered. For the military professional interested in understanding and applying the historical lessons of combat as derived from quantitative military historical analysis, the historical simulation has been and will continue to be a very powerful tool. But what is a historical simulation and what specifically does it provide to the military professional that a good history book, film or staff ride does not? Before answering that question it is first necessary to understand some of the history of military simulations. 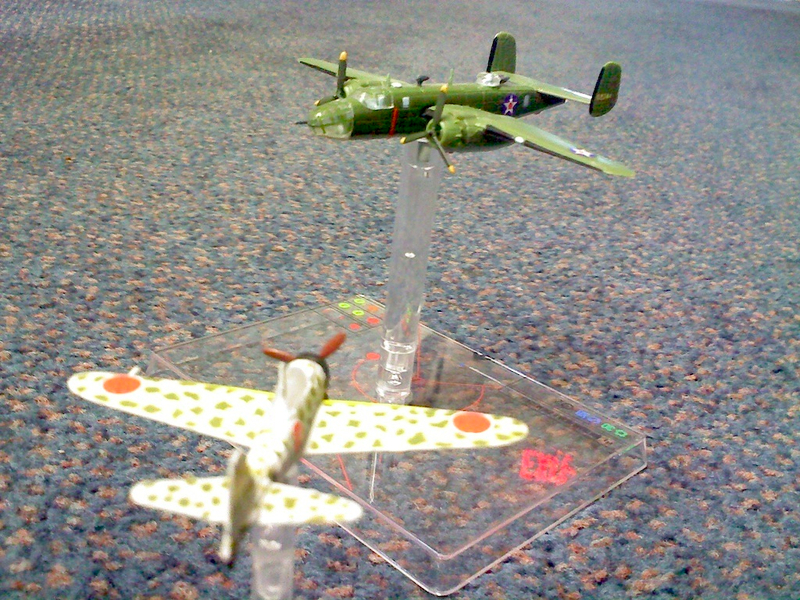 World War II and beyond . . . The historical simulation . . . If military history is the "professional officer’s laboratory of war,"  then the historical simulation is a critical means for experimentation. No other medium of historical study allows the military professional to manipulate the key elements of a battle, campaign or war and then test the outcome with the same expectation of historical accuracy. By comparison, when was the last time you explored the "what if?" aspect of a historical battle through a book or a film? By manipulating the key elements of a historical battle through simulation, the military professional gains a better understanding of how all important aspects of the battle interacted. Moreover, it provides a unique opportunity to explore alternative strategies and tactics. In fact, many wargamers do not game at all. They simply study and manipulate the simulation by themselves. While useful, I think playing solitaire eliminates a crucial aspect of war. Namely, there are typically two sides in a military conflict and each is attempting to impose its will on the other. With both sides exercising free will, the number of "what ifs?" to explore grows considerably but realistically. By duplicating a historical event through the recreation of those key elements that the original participants had to consider and then allowing it to be manipulated or "gamed," I believe every military professional can gain a substantially better understanding of military history. Anything less is little more than following someone else’s historical understanding of the battle. Only a historical simulation frees the military professional from the linear journey of a book or film in which it is impossible to consider alternatives. In contrast, a military simulation is nonlinear, much like the event itself. This means a military professional can wander through the event, changing variables if desired and still be in context. Whether looking for the future in the past, validating new techniques through historical models, or simply wanting to do some professional development, there is no more powerful, practical and useful analytical device than a historical simulation. The question should not be, "what can a military professional learn from historical simulations?" I think that is quite clear. The question should be, "why are they not used more extensively within the professional military educational system?" James Dunnigan, The Complete Wargames Handbook (New York: William Morrow and Company, 1992), p.146. Colonel T.N. Dupuy, US Army, Ret., Numbers, Predictions and War: Using History to Evaluate Combat Factors and Predict the Outcome of Battles (Fairfax: HERO Books, 1985) p 3-6. Dunnigan, James F. The Complete Wargames Handbook. New York: William Morrow and Company, 1992. Image IV. HPS Simulations. Point of Attack 2.